Magic City is the nickname given to Miami during its construction heyday of the mid-1920s, when vast tracts of the city literally grew up overnight, drawing an influx of new, out-of-state residents and investors. The bid to transform previously worthless swampland into miles of lucrative real estate was so successful speculators soon began calling the city "magic." 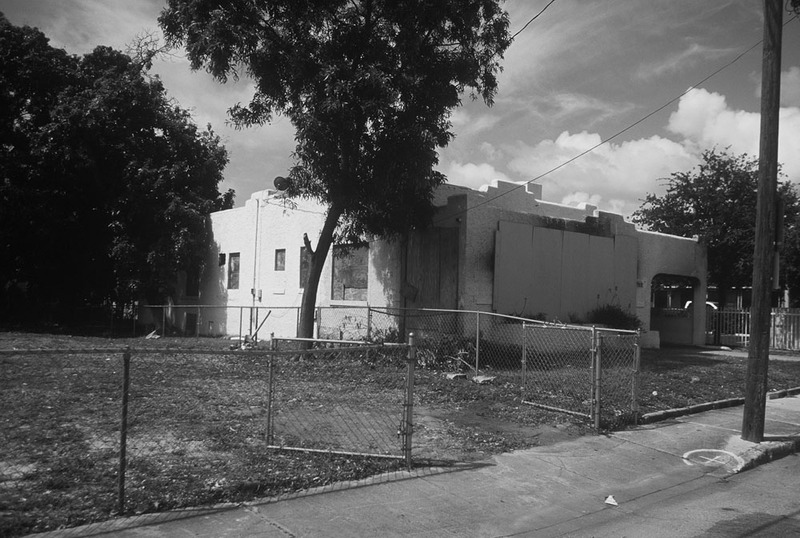 This history serves as the backdrop for a contemporary reflection on Miami as an epicenter of the recent housing crisis, which began in 2008 and led to countless foreclosures and abandoned properties all across the city. 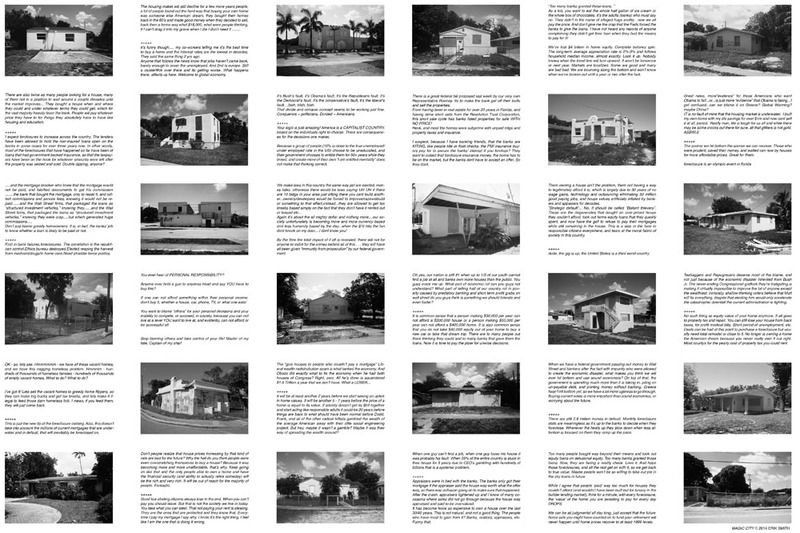 For the print edition, original images of abandoned homes taken in various neighborhoods throughout Miami are juxtaposed with reader commentries to local online articles addressing the crisis in 2012. 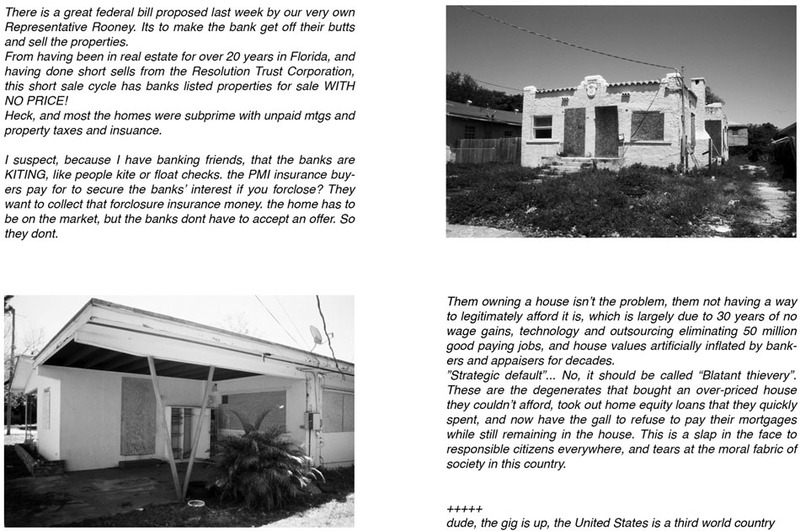 At the time the photos were taken nearly 20% of homes around Miami remained vacant or boarded up.